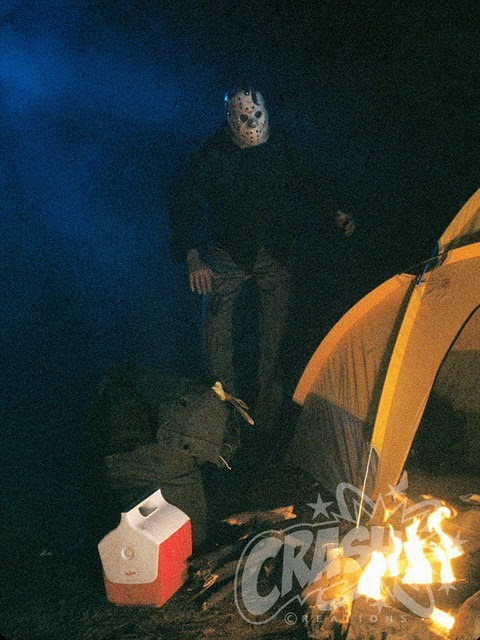 Jason Stalking Rob's Tent. Part not seen in the movie द्वारा प्रशंसक author, Crash Cunningham. Wallpaper and background images in the फ्राइडे द थर्टीन्थ club tagged: friday the 13th jason voorhees the final chapter horror movies photos killer.